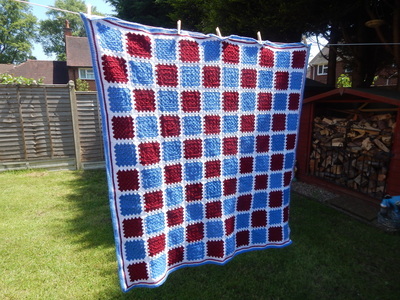 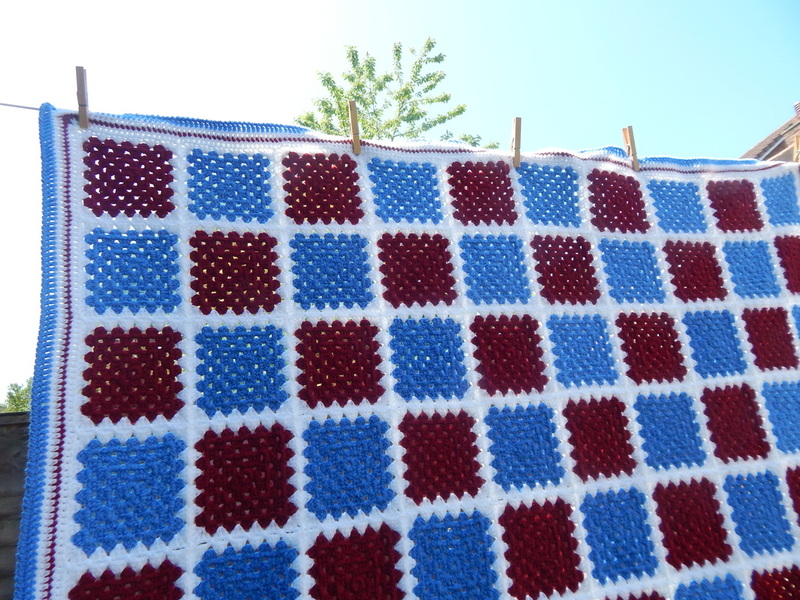 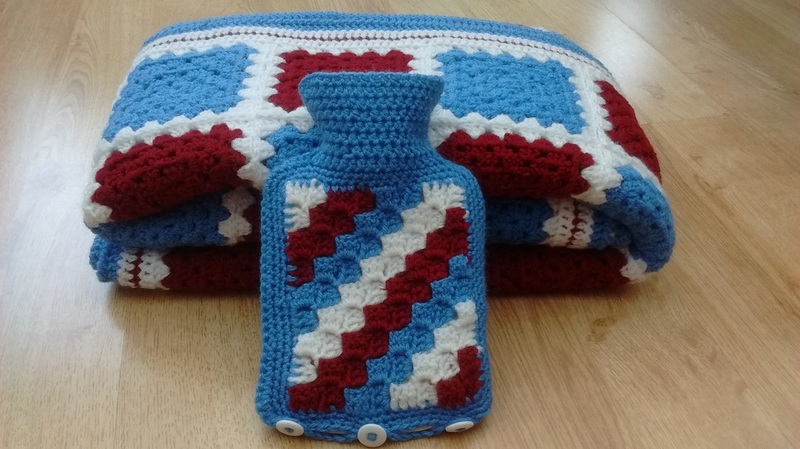 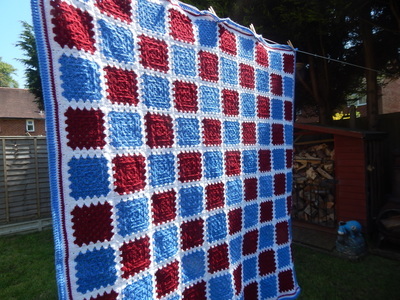 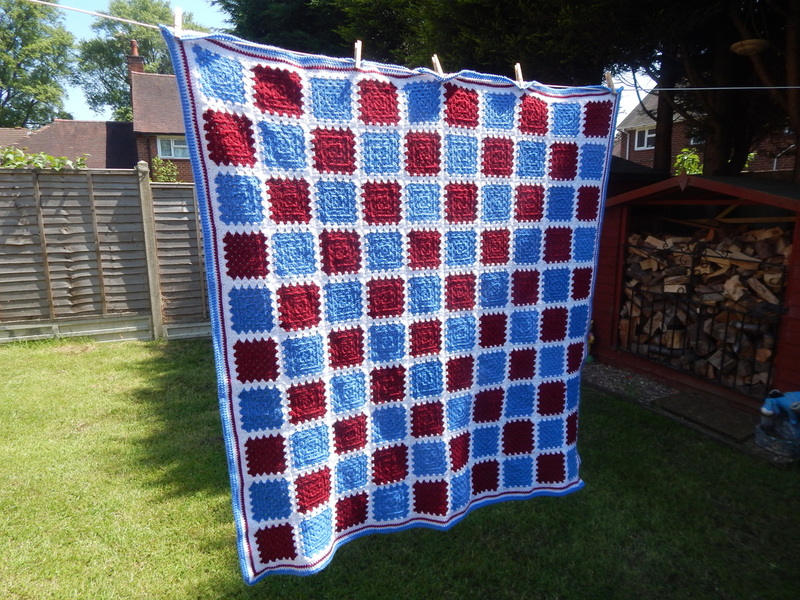 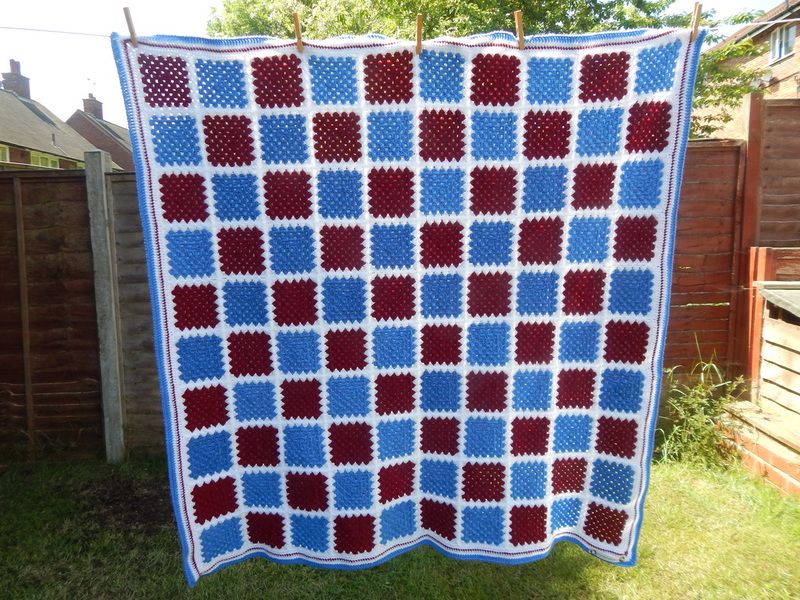 A red and blue granny square blanket. 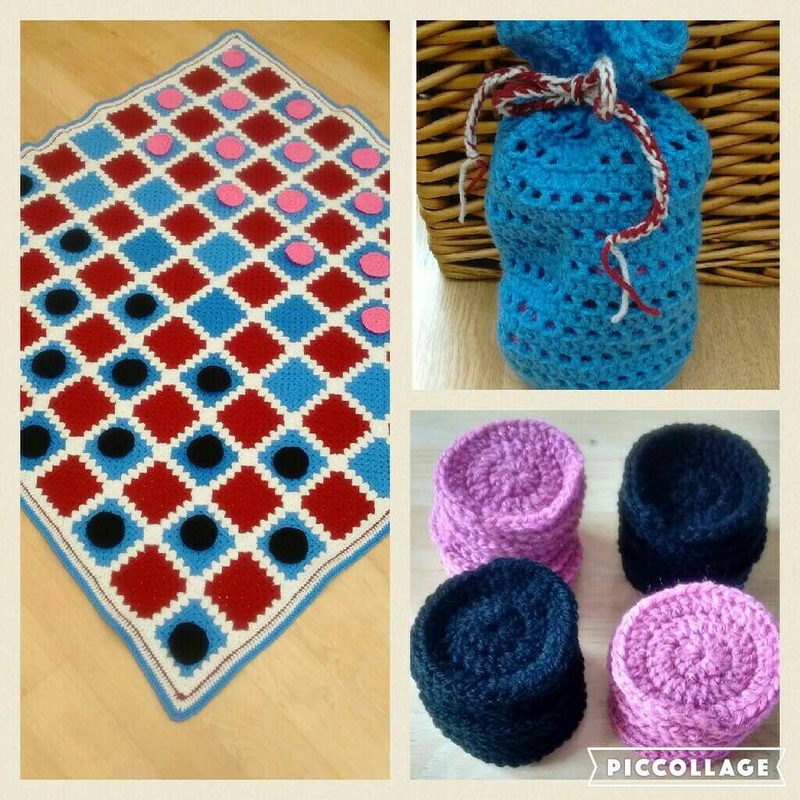 100 granny squares. 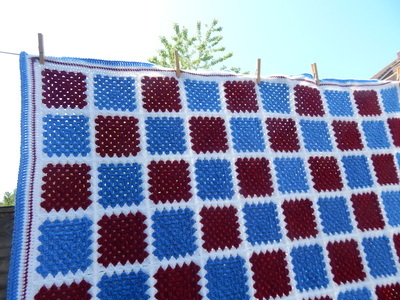 Joined together by join as you go (tutorial found here). 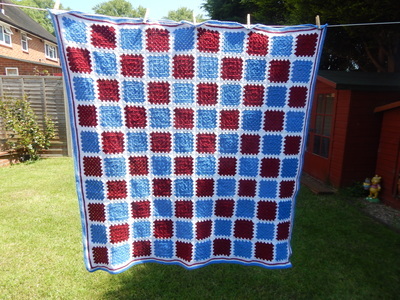 ​Weight 895g of DK yarn - almost 9 balls of wool. 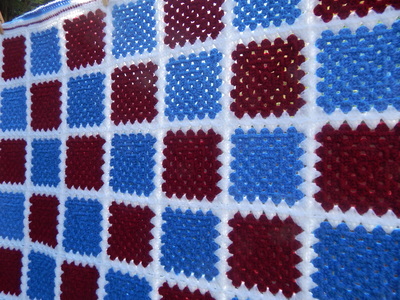 I later turned it into a game of draughts! 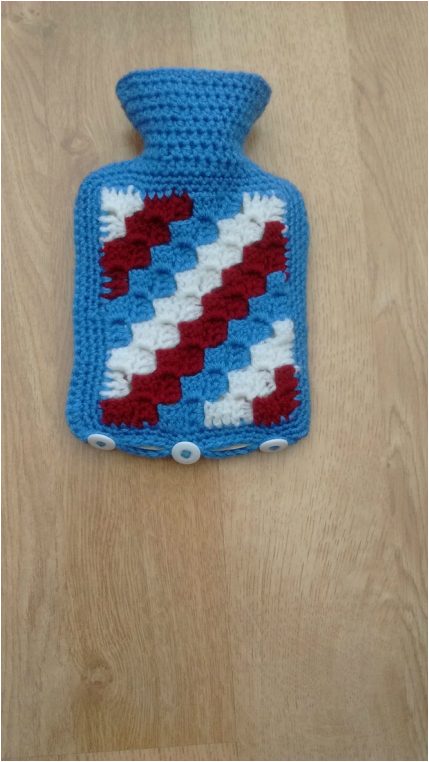 Scroll to the bottom or look here! 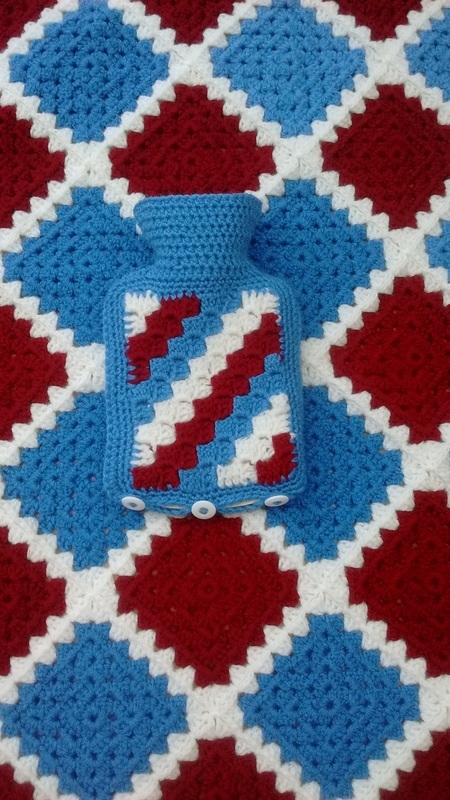 I also made a matching hot water bottle cover for it. It was also turned into a game of draughts!